In this talk, I will talk about the advances of current Blockchain technology and discuss what we need to prepare for the future. In the first part of the talk, I will talk about the various Blockchain technologies to understand the current status. In the second part of the talk, I will talk about the current challenges such as trilemma, ICO issues, and security issues. I will conclude my talk about potential approaches to address these challenges. 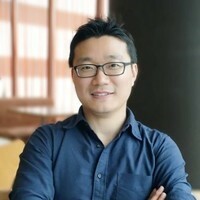 Yongdae Kim is a professor in the Department of Electrical Engineering at KAIST and hold an affiliated faculty position at the Graduate School of Information Security at KAIST. He also direct Cyber Security Research Center at KAIST. He received PhD degree from the computer science department at the University of Southern California under the guidance of Gene Tsudik. He received my MS and BS degrees in Mathematics from Yonsei University in 1993 and 1991. Between 2002 and 2012, He was an associate/assistant professor in the Department of Computer Science and Engineering at the University of Minnesota - Twin Cities. Before joining U of Minnesota, He worked as a research staff for two years in Sconce Group in UC Irvine. Before coming to the US, He worked 6 years in ETRI for securing Korean cyberinfrastructure. He served as a KAIST Chair Professor between 2013 and 2016, and received NSF career award on storage securityand McKnight Land-Grant Professorship Award from University of Minnesota in 2005. Currently, He is serving as a steering committee member of NDSS (Network and Distributed System Security Symposium) and as an associate editor for ACM TOPS. His current research interests include security issues for various systems such as Internet of Things, Cyber Physical Systems, Blockchain and Cryptocurrencies, Cellular Networks, P2P systems, Medical Devices, Mobile/Ad hoc/Sensor Networks, and Anonymous Communication Systems. In this tutorial, I will provide an overview of deep learning discussing key differences between old neural networks and modern deep neural networks (DNN). Then I will introduce convolutional neural networks (CNN) for image classification and discuss several CNN architectures. Finally, I will introduce generative adversarial networks (GAN) for image generation and discuss some applications to image-to-image translation with paired and unpaired data.